Most of the community are farmers. Many people live beyond the farmland and high up in the mountains in the distance. The Pink two room building is the Lie and Wait house that is directly across from the hospital where the expectant mother will deliver her child. Here is the hospital across the street where the mother will deliver when she is ready. The Lie and Wait home is constructed like a traditional Ethiopian home without the modern comforts that they don’t have. Ethiopia has one of the highest maternal death rates in the world. 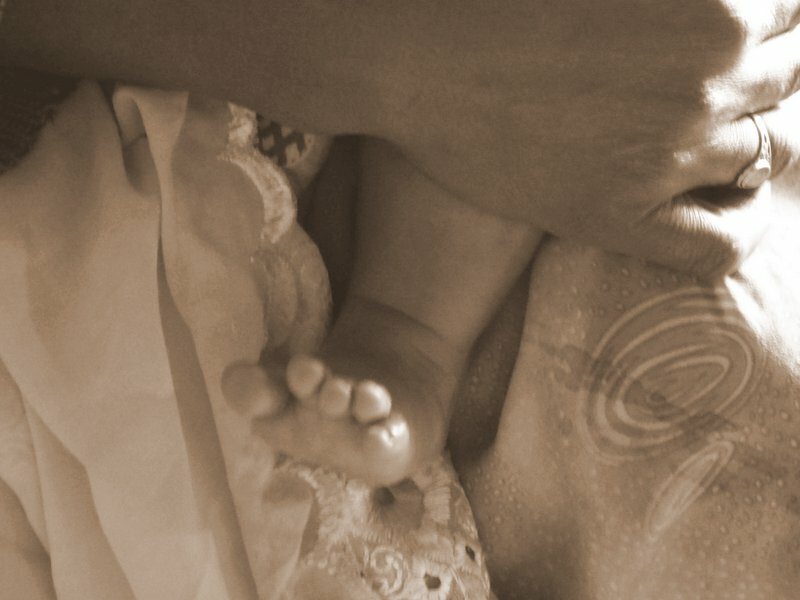 Although child under five deaths are improving, newborn mortality rates remain high. Many challenges remain. Roads and hospitals need to be built, expanded and/or improved. Cultural traditions need to be changed such as child marriage, traditional beliefs in home birthing and female genital mutilation. Rural communities need to be educated on the importance of pre and post natal care and the increase in newborn and maternal survival by delivering with a trained assistant. As a mother, I cannot imagine having to walk hours on foot to reach a safe place to deliver my child. Millions of women around the world do not have the luxury of roads, cars, and modern hospitals. For them, delivering their children is a test of endurance and a hope for survival. The families in the community are very poor. In fact, as of 1993, most households earn less than 50 USD per year and were in living conditions that put them in danger of contracting diseases. As of 2011, many of the households yearly income had raised to $300USD per year due to Project Mercy’s significant development in many areas of need. This post was inspired by the Weekly Photo Challenge: Endurance. To view more entries, click here. We are so blessed and fortunate in North America to have all the modern comforts and medical technology for everything, especially child birth. My mom had 8 of her 9 children at home, with little or no help. That was in Asia, many years ago. One of my sisters was born into a dish washing bucket. My sisters delivered their own children in a refugee camp, where help was the neighbor. My aunt had a breach birth, and they had to remove the fetus, severing one limb at a time, as he was trying to reach out of the birth canal. Thank you raising awareness on this issue. We are so fortunate in North America. Wow, thank you for sharing your stories of your mother’s births. What a courageous woman! And yes we are very fortunate here. It seems that many mothers are capable of multiple healthy deliveries, unassisted. By contrast, it seems that in the U.S., women feel like birthing a child requires 21st century technology. We use extreme intervention to save mothers and babies, at great expense. Still, we are not at risk of becoming extinct. Our global population is dangerously robust. Would it be possible to find a middle way, a balance? More natural childbirth, less extreme (and resource-sucking) technology, and a smaller population. How would we get there? So much to endure for the people in some part of the world… Great photos, Nicole. Always inspiring to read your posts! It’s really important that there are places like this in Ethiopia. Also it is important that the world learns about the problems in many “third-world” countries. Thanks for this post! These women are the embodiment of courage. Yes they are. It is really amazing isn’t it. What a great post.. and here women complain if they don’t get an epidural on the first contraction. sure puts things into perspective! Yes so true. Thank you for reading! Very interesting post and, lovely photos! Hits very close to home. Thank you. Thanks. I bet in China there are a lot of similar situations with rural women. I hope someday women and girls get the attention they need! Very true. Lack of access is a big problem outside of the big cities. These women endure so much. Thanks for sharing this. Yes they do. Unimaginable isn’t it. Amazing post – really puts things in perspective doesn’t it?! Very powerful Nicole. And that little one is simply gorgeous. Wow, stories like this really make you appreciate how lucky we are. Thanks for sharing. Yes so true. It is unbelievable what these women endure. Oh thank you so much! Very thoughtful of you! 🙂 Thanks for thinking of my blog! The story, the pictures, what it makes you realize and feel, and how it puts so much into perspective…thank you for sharing..hits home at many levels, being from Bangladesh and having seen the plights of pregnant women there and what they endure..amazes me how resilient they are. Really well written! You’re welcome!I know Bangladesh has its own unique set of issues (although I am no expert). I hope someday all women and children have the opportunity for a safe delivery and life. What an interesting and touching story. The only time I like to walk is during my exercise classes so I cannot begin to imagine walking long distances, in addition to being pregnant. We are indeed very fortunate and take certain things for granted. Thanks for this eye-opening post and for providing a different take on what it truly means to endure. Thank you for your comment. Yes, I feel for these women. I can’t even imagine and these are the 10% that deliver with help. 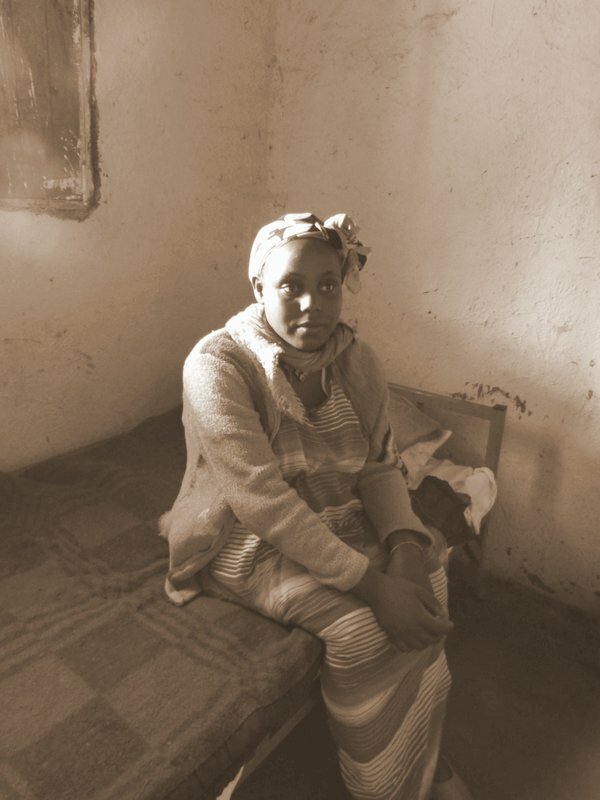 90% of Ethiopian women deliver at home with no help at all, on their floor.